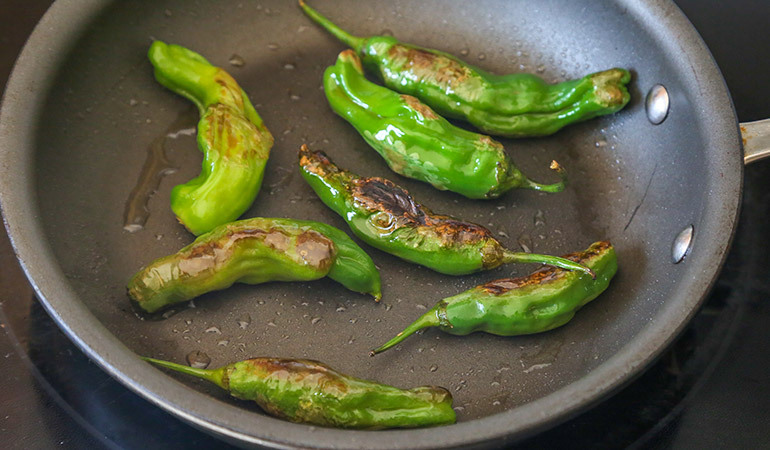 Traditionally, charred jalapeños are served with tacos, but if you can’t handle spiciness, the shishito pepper is a delicious alternative. The shishito is an Asian variety of peppers, and while 1 in 10 peppers may be spicy, they are mostly sweet. Blister them in a pan or over a grill and toss with salt. They are great by themselves or as an accompaniment with any dish that could use a tiny kick in flavor. Remove as much silver skin as possible from the venison roast. 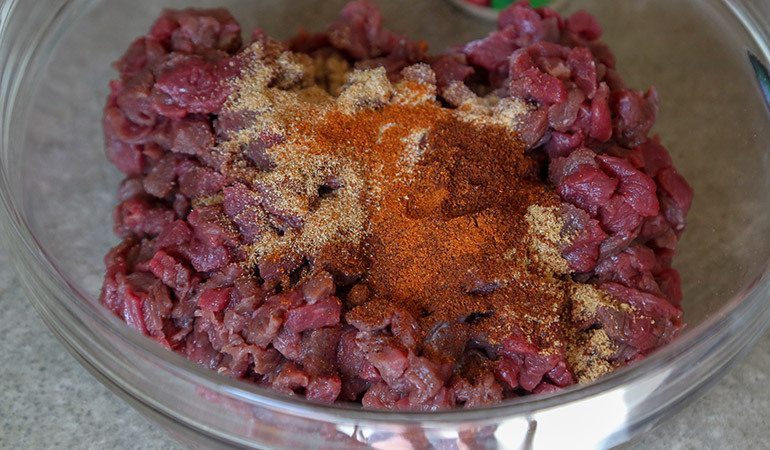 Dice/mince the meat finely and mix with coriander, garlic powder, onion powder, chili powder, cumin, cayenne, olive oil and juice of 1 lime. Set aside. Lightly toss shishito peppers with a bit of oil. Heat a pan over medium heat and cook peppers until blistered and slightly browned all over. Season with salt and set aside. 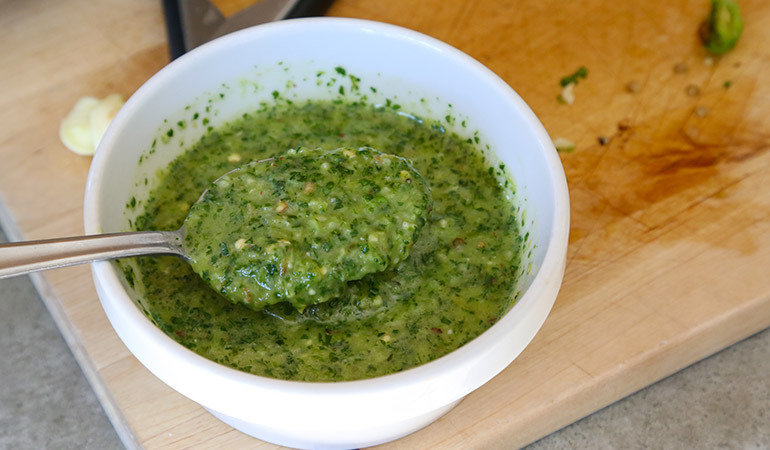 To make the green herb sauce, roughly chop cilantro – both leaves and stem – and add it to a food processor. 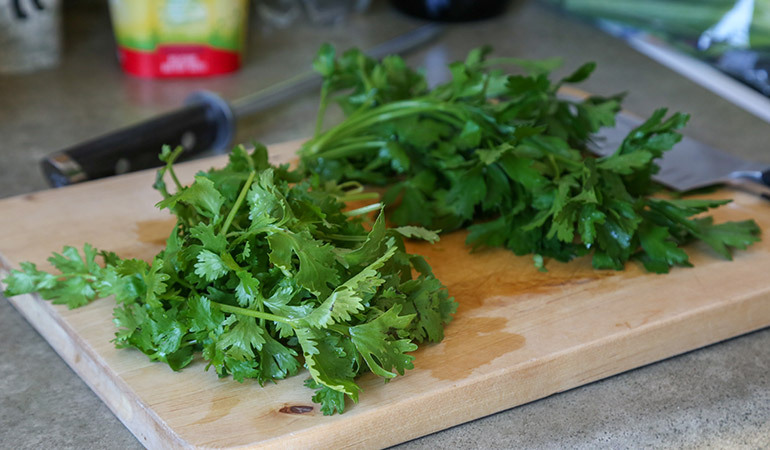 Next, add parsley – leaves only, garlic and green onions and pulse a couple times until chopped. Then add lime juice, vinegar, and 4 shishito peppers from previous step (remove stems). Pulse and slowly add olive oil until the sauce is fully emulsified and thickened to your liking. Season with sugar, salt and pepper to taste. 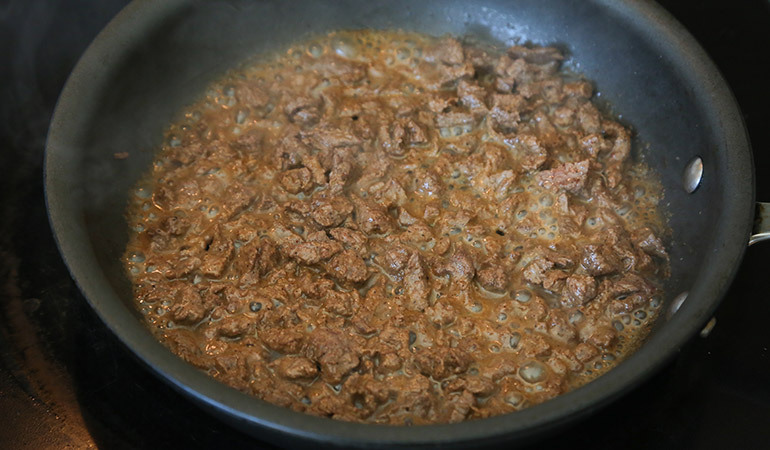 To make tacos, brown seasoned venison with a bit of oil in a hot skillet – do not overcook. Season to taste with salt and pepper. Keep warm while you warm up the tortillas. 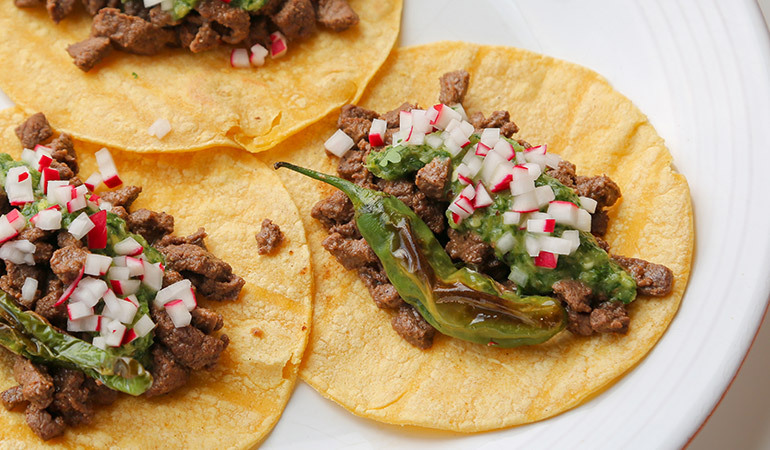 Assemble warm tortillas with meat (use a slotted spoon if there’s a lot of juice in the pan), a dollop of green herb sauce, chopped radish, and blistered shishito peppers.